Prof. Dr. Marija Dimitrijevic Ciric and Nikola Konjik (Faculty of Physics, University of Belgrade, Serbia) visited Rudjer Boskovic Institute (Zagreb, Croatia) from Sunday, 26 August to Saturday, 1 September. 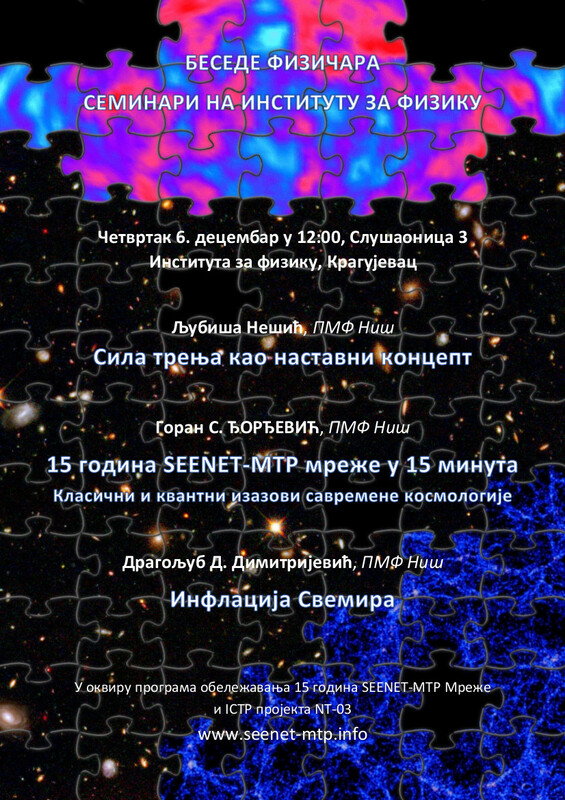 This visit was continuation of joint research with Dr. Andjelo Samsarov and Danijel Pikutic on effects of noncommutativity (NC) on quasi-normal mode spectrum of black holes. During their stay they worked on more precise numerical methods like continued fraction method and also to investigate the NC spinor part of the QNM spectrum in the RN black hole backgroud.